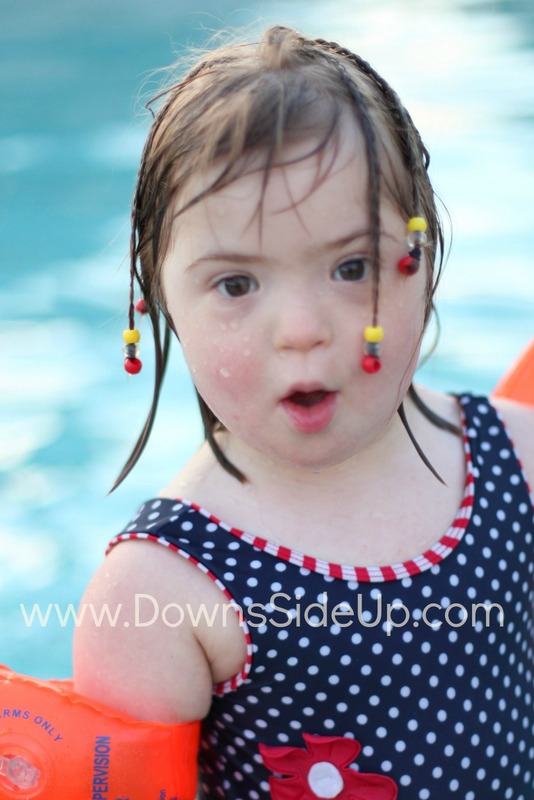 Does your child with special needs do all they can to avoid having their hair cut or brushed? Here are our top tips for hairdressing without the tears. Mia has always loved having her hair brushed, cut, twirled, plaited, twizzled and filled with as many hairslides and bobbles as she can muster. Her need for girliness has always outweighed my hairdressing skills by far. I still couldn't do a French Plait if my life depended on it! Natty couldn't be more different. With her it's always been full on war to get a brush anywhere near her head. From washing to combing and cutting and every stage in between, we've been met with a full on tantrum or tears or running and hiding in a corner. We quickly realised that this was partly a sensory processing issue. Natty simply didn't like the feeling of the brush, or for that matter a flannel or toothbrush, so we had to be creative in our approach. Hair though, has always been hugely symbolic for me where Natty is concerned. I recall thinking in the first few hours of her life, that she would always have the best haircut I could afford, and that I would always make sure it looked nice. I suppose I had in my minds eye the standard issue 'pudding bowl haircuts' of institutionalised adults and children with Down's syndrome that I had seen in my youth and I was determined to move Natty as far away from that model as possible. Superficial as it sounds, I knew she would be judged by society on appearances, and she deserved to look the very best she could at all times. 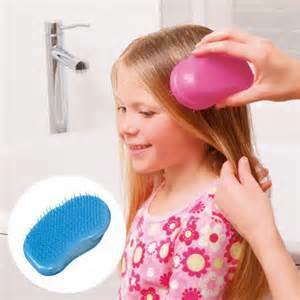 Buy a magic brush such as the Tangle Teezer. 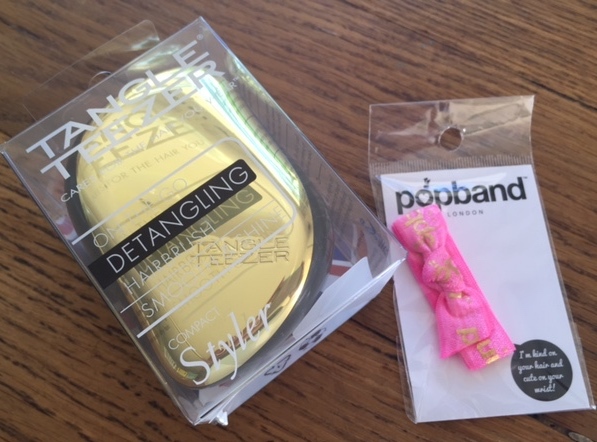 They work through hair easily and are worth every penny. They are available online and in many supermarkets. Encourage hairdressing role play (HIDE THE SCISSORS! I say this from bitter experience). Let children brush each others' hair, set up a pretend salon. Make up songs, stories and create picture books scrap books about having your hair cut. Download pictures of brushes and scissors and shampoo etc. Buy fun hair accessories or hats as treats and let you child choose them. Build up a relationship with one hairdresser if possible someone the child knows. We always go to my friend Nancy. Consider having hair cut at home to avoid the noise and bustle of a salon. Or pop into a salon frequently just to say 'hi', so that it becomes ordinary and familiar. Perhaps take them to watch you having your hair done. Don't be afraid to use a favourite DVD, iPad app or toy to provide a distraction. The tips above can be adapted for being measured for new shoes or any other sensory experience that your child dislikes. Natty now so enjoys having her hair played with that she demands that we do it in different hairstyles for her. It certainly has been worth persevering. Natty has and does have periods of frustration Hannah. It was eased by being able to communicate through Makaton, which also speeded up her language learning and she's now dropped it. Do you use Makaton or a symbol system at all to help Billy communicate? OUr kids are generally very visual learners. Natty used to get quite physical with her school friends but we taught them all to say 'I don't like it when you do that' and turn away, because it seemed she was doing it for the hugs and saying sorry afterwards. She hated being ignored. Yes we have incorporate makaton into our lives and nursery have set targets to help him along. He has mastered the sign drink and can sign more and eat when he wants to but it isnt consistent. He has his own signs for car and ball (beep beep and bounce bounce signs) but he is still highly frustrated and tends to shout and cry more than he is actually happy. I dont like seein him this way and often feel so powerless. And its even worse when taking him out as ppl dont understand and only see a " naughty child"